The FAM Project builds upon the experience of previous USAID-funded projects in which IRH developed, tested and introduced fertility awareness-based methods (FAM) in diverse family planning programs in over 20 countries worldwide. 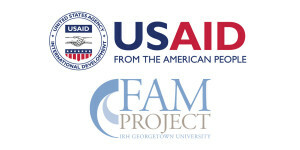 With continued emphasis on research-to-practice, the FAM Project engages with partners at the community, national, and international levels to create a supportive policy environment for FAM, build local capacity and develop and test innovative and replicable strategies to expand access and improve quality of services. The goal of the FAM Project is to increase access to and use of the Standard Days Method® (SDM), the TwoDay Method®, and the Lactational Amenorrhea Method (LAM) within the framework of informed choice. IRH worked with numerous partners to support the national scale-up of SDM into public- and private-sector family planning and development programs across five focus countries. developing direct-to-consumer approaches to family planning.